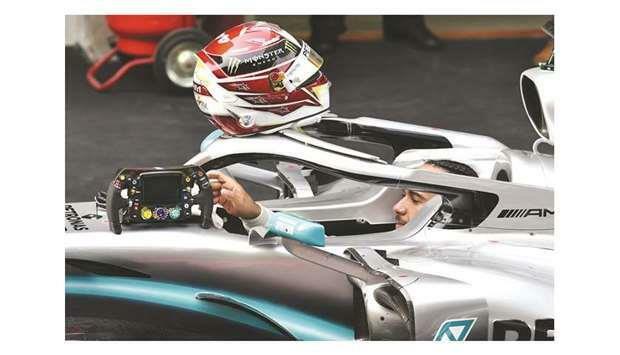 (MENAFN - Gulf Times) The first three races of the Formula One season have made a mockery of pre-season predictions that Ferrari would set the pace and leave Mercedes struggling to keep up. 'We've soon got to stop talking about Ferrari this, Ferrari that, Ferrari amazing power... because they are not delivering, said former grand prix driver and Sky Sports commentator Martin Brundle. And yet five times champion Lewis Hamilton, teammate Valtteri Bottas and principal Toto Wolff were still talking about luck, small margins and tough battles ahead after winning Formula One's 1,000th world championship race. 'Considering it was a real struggle this weekend, I'm really grateful for the result, said Hamilton, Sunday's winner. The Briton was right to point out it would have been a different story if Charles Leclerc's Ferrari had not lost power while leading in Bahrain but ‘could have, would have, should have' never won anything. 'I'm just not sure they've really hooked up a proper solid weekend just yet, said Hamilton, now back in the overall championship lead. 'It was looking like it was going to be a solid weekend for them in Bahrain and then it started to tail off. This weekend, they were a bit up and down. 'I think we're over-delivering a little bit at the moment to our true potential but there's still more to come, he added. 'Our car is maybe a bit draggier than theirs, said Wolff. 'On the speed and power we need to leave no stone unturned but in terms of managing the tyres, the downforce levels helped obviously. 'I'm hearing from the Ferrari guys that they've got their car in the wrong aerodynamic window at the moment, he said. 'They need to make changes internally but it's going to take time. 'They are only very good at the ultra-high speed tracks at the moment and as soon as there are more corners, then they are struggling. So they're in the wrong place at the moment with the car.